It was a wake up call when Amazon did it with books, disappointing when Google did it with Google Maps, annoying when Apple did it to their office applications – but Tesla just did it on a $100,000 car. It’s time to think about a 21st Century Bill of Consumer Product Rights. In July 2013 Google completely redesigned Google Maps – and users discovered that on their desktop/laptop, the new product was slower than the one it replaced and features that were previously available disappeared. The new Google Maps was worse then one it replaced – except for one key thing – its User Interface was prettier and was unified across platforms. If design was the goal, then Google succeeded. If usability and functionality was a goal, then the new version was a step backwards. In November 2013 Apple updated its operating system and cajoled its customers to update their copies of Apple’s iWork office applications – Pages (Apple’s equivalent to Microsoft Word), Keynote (its PowerPoint equivalent), and Numbers (an attempt to match Excel). To get users to migrate from Microsoft Office and Google Docs, Apple offered these iWorks products for free. But the release notes for the new version of the product had no notice that these features were removed. Translated into English this meant that Apple engineering recoding the products ran out of time to put all the old features back into the new versions. 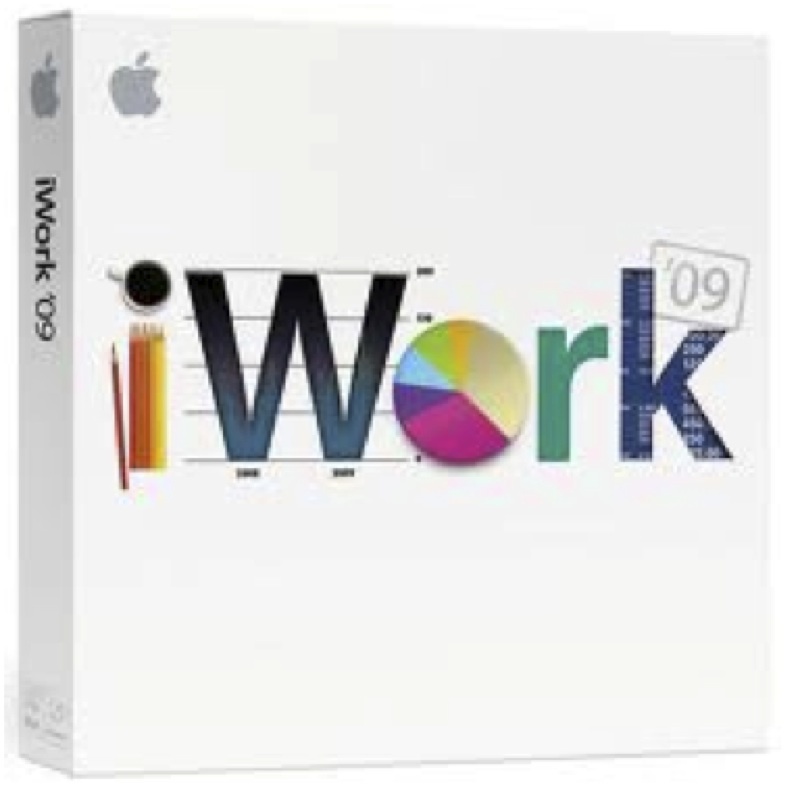 Apple said, “… some features from iWork ’09 were not available for the initial release. We plan to reintroduce some of these features in the next few releases and will continue to add brand new features on an ongoing basis. Did they think anyone wouldn’t notice? Decisions like this make you wonder if anyone on the Apple executive staff actually understood that a “unified file format” is not a customer feature. While these examples are troubling, up until now they’ve been limited to content or software products. In November 2013 Tesla, a manufacturer of ~$70,000 to $120,000 electric cars, used a software “update” to disable a hardware option customers had bought and paid for – without telling them or asking their permission. One of Tesla features is a $2,250 “smart air suspension” option that automatically lowers the car at highway speeds for better mileage and stability. Over a period of 5 weeks, three Tesla Model S cars had caught fire after severe accidents – two of them apparently from running over road debris that may have punctured the battery pack that made up the floor pan of the car. After the car fires Tesla pushed a software release out to its users. While the release notice highlighted new features in the release, nowhere did it describe that Tesla had unilaterally disabled a key part of the smart air suspension feature customers had purchased. Translation – we disabled one of the features you thought you bought. (The CEO went on to say that another software update in January will give drivers back control of the feature.) The explanation of the nearly overnight removal of this feature was vague “…reducing the chances of underbody impact damage, not improving safety.” If it wasn’t about safety, why wasn’t it offered as a user-selected option? One could only guess the no notice and immediacy of the release had to do with the National Highway Safety Administration investigation of the Tesla Model S car fires. This raises the question: when Tesla is faced with future legal or regulatory issues, what other hardware features might Tesla remove or limit in cars in another software release? Adding speed limits? Acceleration limits? Turning off the Web browser when driving? The list of potential downgrades to the car is endless with the precedent now set of no obligation to notify their owners or ask their permission. In the 20th century if someone had snuck into your garage and attempted to remove a feature from your car, you’d call the police. 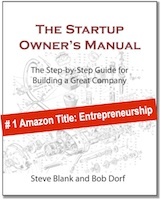 In the 21st century it’s starting to look like the normal course of business. While these Amazon, Google, Apple and Tesla examples may appear disconnected, taken together they are the harbinger of the future for 21st century consumers. Cloud-based updates and products have changed the landscape for consumers. The product you bought today may not be the product you own later. The result is that consumers in the 21st century have less protection then they did in the 20th. What we can hope for is that smart companies will agree to a 21st Century Bill of Consumer Product Rights. What will likely have to happen first is a class-action lawsuit establishing consumers’ permanent rights to retain features they have already purchased. Some smart startups might find a competitive advantage by offering customer-centric products with an option of “no changes” and “perpetual feature rights” guarantee. The speed at which software are upgraded in a world of cloud and subscription is the speed with which you can expect such changes to happen. I guess this is a modern software delivery peril. This may possibly go down similar to the privacy concern that many people have while being on internet. How about Sony when they removed the ability to run linux on PS3? Thanks Steve. 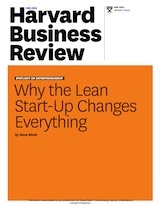 The ironic thing is that I see this as an issue with the Lean Startup approach and Customer Development as well (both of which I embrace wholeheartedly but have worried somewhat about this issue). As we “experiment” with product and service features we no doubt remove some and add others, and similarly with the business model, changing aspects of the business model that may affect users or partners or other parties. Should we label our product / service and business as beta (or even alpha – changing features) during Customer Discovery and perhaps Customer Validation? I think the key here is starting with transparency – letting users know up front what to expect. Steve, do you think the rights of users should be equally protected and/or if users should expect the same level of transparency in cases of free and paid products? It would seem that money exchange creates more of a contract than a free signup would and business obligations to paying customers are greater. Thanks for writing about this growing issue and fueling the debate. I think the marketplace itself has to work out these issues – consumers have to vote with their dollars and businesses need financial incentive to enforce customer-focused practices. 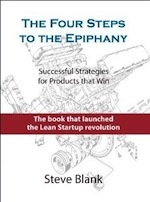 Many of these issues are related with a company’s desire to be first to market with a product. While I am sure there are tests for functionality there is less of a trial period and these features are released with the expectation that they will be upgraded in the future (just like the Windows patches that plagued the consumers in the 90s and 2000s). The difference is that features are removed now, not just modified. Consumers have driven some of this with the impatience that comes with our current society. An interesting read. Thanks. Apple clearly didn’t learn anything from the firestorm around the FinalCut Pro X launch – or more likely – doesn’t much care. Another example: Microsoft eliminating their picture manager on Office 2013. Sounds like Tesla (and some of the others) could get a class action law suit one of these days. Love the bill of rights concept. Whilst it’s not an excuse, installing iWork ’13 leaves your existing iWork ’09 installation alone – if you need ’09 features, you still have them. This won’t come about with a lawsuit, unless you believe those rights derive from the Constitution or some other law already on the books. What you are calling for is outright government regulation. Sure, a startup could make this pledge as an attempt to curry favor, but it would be meaningless. First of all, no startup is stable enough to trust their long term pledges. Second, how can a pledge like that carry any weight if there is no third party to enforce it? This is the sort of rule that everybody thinks is nice but nobody wants to play the game unless EVERYBODY is subject to the rule. Because a company that must observe these rights is at enormous disadvantage against a company that does not. I think that these sort of ‘feature regression’ decisions should be approached with caution, even when communicated clearly. Prospect theory has pretty firmly established that people are non-linearly loss averse (http://en.wikipedia.org/wiki/Loss_aversion). So even if you offered them an equivalent benefit in exchange for the thing you’re taking away, your users are going to feel the loss as more acute than the benefit — research suggests about twice as much. Communicating changes clearly and honestly should be the minimum standard for respect of your users, but still doesn’t make those changes prudent business decisions if you depend on user satisfaction with your products (e.g. they’re not locked in) for future revenue. I have hit a point of not paying attention to the news these days, so I thought it’d be more fruitful and fun to see what the average citizen has to say about the world’s events instead. Glad I did, and that I somehow stumbled onto your blog. A year ago I would’ve still seen this through 42 years’ worth of linear conditioning. Now…this just feels like good news in the making. We’ve clearly hit an apex with capitalism, and now I’m excited to see what develops on “the other side”. Thanks for this blog post. Glad to see I’m not the only one feeling betrayed, Steve. I completely agree about Google Maps. I’ve also been feeling quite disgruntled that Google did away with iGoogle. I liked having my favorite blogs, news, weather, search tools, GMail, etc. readily available on one page. And then, it went away. Granted with plenty of notices. But, am I supposed to think G+ is a replacement? Not. Is there any logic behind their decisions? Getting closer to your customers just got easier. Get in.Venntive Highly functional. Affordably priced. Insanely easy to use! Except that iGoogle was free, gmail IS free, and all that content you accessed via iG was also free (in the sense that you had no out of pocket cost). The logic that drives Google’s decisions is based on what’s best for their business, and given their position on the Fortune 500, they must be doing something right. Had you paid for these services, your complaints would be more justified (and your annoyance, likely more acute). There are not many free services we don’t pay for in *some* way. Google didn’t offer iGoogle for a social good. As the “senior citizen” population grows as a % of total population constant changes such as pending lost support for XP, that group must be considered when such transitions become more expensive…Might be something worthwile for AARP to take on. I think a lot of this has to do with target market. Apple is targeting the “average” user and if they annoy some power users by removing some features as a result of trying to make things better for the “average” user they don’t mind. As we know, most people don’t use most features of apps. Eventually Apple does get around to adding them back (for power users or just as extra features to attract users to new releases). In the UK we are blessed with the unfair contract terms act – originally draughted to override car manufacturer warranty exclusions (which read if the car is a heap of junk that’s just tough). Not my field, but I hope someone will have a go one day. Apple certainly loves this: One year old programs from a book on programming for iOS does not work anymore. It is all deprecated now. I hate Microsoft Windows 8.1 so much. It is even good if you have multitouch screen, but they want everybody to use it, including people on normal desktops or laptops. So obnoxious. The same happened with Unity-gnome in Ubuntu Linux. What worked in the past was removed. It is something very typical of designer’s “genius”: Now we are going to change everything for “something better” because we think so. User’s opinion is worth nothing compared with our omniscience. Steve, the problem is even more acute with free products. Google has lost a lot of my goodwill by removing products I had become very attached to – Google Reader is only the most recent example. It’s made me wary of trying their new products. But I see from your piece that even paying customers are at risk! It’s an awful trend that needs to change. This is why the “right to fork”, open-source style, is so important. I disagree that open source forking model can solve this problem. For example, not many folks are going to right their own version of Map to preserver features. The point of open source is you wouldn’t have to rewrite it, just take the working source to the last version with the features you need, rebuild it and if you think others would also like it, post the binary somewhere. More importantly, were Maps open, Google wouldn’t have done what they did in the first place, knowing what would happen. Opening a product implies the entity doing the opening knows the implications of doing so, that a certain loss of control is involved in exchange for the benefits. Imagine if Google did something to Android that enraged a large segment of the userbase. Wouldn’t stand. Which is why they wouldn’t even think of it. For example, Google didn’t want apps to run in a window yet Samsung did it anyway; and Google wouldn’t dream of trying to prevent it in a future version. I don’t feel breaking backward compatibility is a bad thing. Many progress with products if they are shackled by old feature that don’t make sense with new technology or know how available. I agree that it should be done transparently and providing heads-up. However, the duration of those heads up will get smaller with the pace at which technology is evolving. What happened with the days of friendly beta test then?? Is that we are buying betas? A short version of this post has generated a lot of discussion and speculation on the Tesla Forums. •	Tesla offers no way to “rollback” to a previous feature. Below is complete speculation based on the publically available data. •	NHTSA tells Tesla one is likely. They can’t permit downgrading because all software has exploitable bugs and Digital Restrictions Management is a given on most products. Allowing downgrades or even refusing an upgrade would break the locks. That said, kinda hard to get too angry at Tesla if they locked out a feature that might be dangerous to the passengers or the vehicle itself until they know more. Wait a bit and see how they resolve the issue. Yes they should have been more transparent, that was a bad move sliding it out without putting it in the changelog. But the idea of car makers acting on safety issues via software updates could be a good thing. Even Amazon’s stunt has some justification, if they didn’t have the right to sell it in the first place, their cloud based model would leave them on very unstable ground if they kept the copies in service. They need to make it more clear you never own, only have a limited and revocable right to use. All these examples provide good reasons why NOT to buy these kinds of products to begin with if you can possibly help it. I don’t want to “license” books or music, I want to own my copies, and its exactly this reason why I won’t download “I” music. I have a friend who lost most of her paid-for music collection, because she’s gone through multiple Ipods (some damaged, some worn out), and Apple only lets you “migrate” the music 4x. After that, its repurchase time, and if you don’t like it. . .tough. Meanwhile, my 20 year old CDs and 10+ year old non-proprietary MP3 files work just fine. I also don’t want/need the manufacturers to change feature sets on the hardware I buy, let alone without my knowledge. If Google wants to change functionality on their “free” products/services, I may not like it, but I don’t really think I have any right to complain about it. For Tesla, if they’re revoking paid-for upgrades, then they need to reach into their coffers and provide refunds to anyone who paid out of pocket for these. That’s only fair. Likewise, if Apple is pulling paid-for literature off of people’s individual machines, they need to reimburse the purchasers. I understand that they may have licensed material they weren’t really entited to, and need to pull it, but if that happens, THEY need to be the ones taking the financial hit, not their customers who bought the stuff in good faith. On PS3, Sony has been somewhat notorious about adding features. . .AND taking them away, and you basically have no ability to opt out here, because if you don’t do the upgrades, you can’t run any online games. Overall, if you’ve owned the machine since its inception in 2006 (which I have), there has been TREMENDOUS improvement in overall functionality since that time. . .so the general trend has been positive, but feature management here has been “inconsistent”, to say the least. Thanks for raising the issue of companies unilaterally removing features from their products. We have that issue with Quicken. We have been satisfied customers since the mid-90s and have upgraded every few years when the new features seemed worthwhile. Our last upgrade was 2014 when we purchased Quicken Home & Business on a CD. We have been happy with the product, including the ability to download transactions from our financial institutions. Now, Quicken sent a message that after 4/30/17, we need to upgrade to Quicken 2017 or the downloads will no longer work. We wouldn’t mind upgrading except that numerous customers say the bugs are significant and support is abysmal. It seems that after Intuit sold the product to HIG investments last year, the support and products are no longer up to the old standard.